Patients who fall while in the hospital represent a serious health and economic problem. Fall rates in acute care settings are estimated at between approximately two to eighteen falls per 1,000 patient days (totaling more than one million in-patient falls annually in the U.S.), with up to 44% resulting in some degree of injury. Hospital costs for patients who fall without injury are on average $4,200 more than for non-fallers, and injury falls cost upward of $25,000 per incident. Unfortunately, however, hospitals have not had scientifically validated means for predicting which patients are at greatest risk for falling, or for preventing falls. 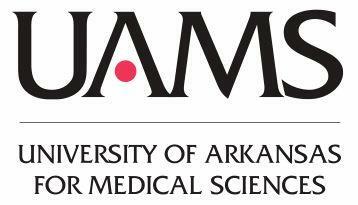 Two registered nurses at the University of Arkansas for Medical Sciences (UAMS), Amy L. Hester and Dees M. Davis, devised the Hester Davis Scale (HDS), a reliable and valid tool for identifying patients most likely to fall while in the hospital. At UAMS, the HDS in combination with the hospital’s comprehensive fall prevention program has resulted in a 11% reduction in overall fall rates and a 60% reduction in fall-related injuries. Cost savings from prevented falls and injuries—based on estimates by the Centers for Medicare and Medicaid Services (CMS) for fall-related injuries in hospitals, which are not reimbursed to hospitals—added up to $1.27 million for UAMS in 2011 compared to the previous year.